The FreeNAS Mini provides enterprise grade performance in a home NAS profile. This upgrade allows you to make the most of 10Gbps network environments. Qualified by the FreeNAS technicians at iXsystems, the FreeNAS Mini 10Gb Dual-port upgrade will provide your system with the best network performance available. Hardware tested and qualified by the developers of FreeNAS. 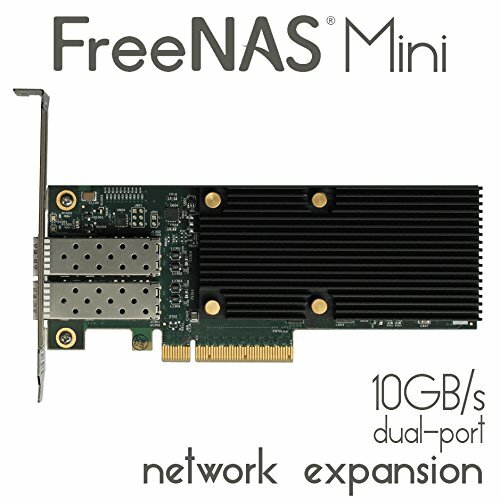 Boost network performance on your FreeNAS Mini by upgrading to dual port 10 Gigabit Ethernet. If you have any questions about this product by IXSYSTEMS, INC, contact us by completing and submitting the form below. If you are looking for a specif part number, please include it with your message.